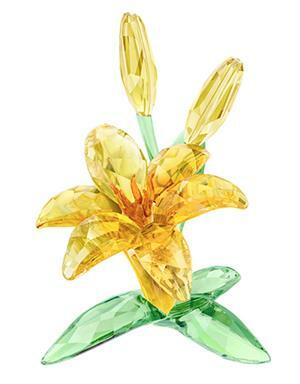 Be inspired by the beauty of nature with this exquisite and highly symbolic yellow lily, representing happiness, new beginnings, and good luck. Crafted purely from crystal with 630 vibrant facets, it is an elegant and timeless expression of Swarovski DNA. An ideal piece for collectors who appreciate nature and bright colors, and an excellent gift idea.